The RV Gourmet: Turkey Leftovers BEFORE Serving the Turkey? Turkey Leftovers BEFORE Serving the Turkey? When I was growing up we threw out NOTHING. This custom was our practice most especially in the kitchen. I had four siblings and we all had pretty hearty appetites so our leftovers were usually scarce except on holidays when my mom would cook enough for an army. (We never had an army at our house so I could never figure that out.) Always daring to be different my mom would often prepare what many would consider nontraditional holiday fare but since we all loved a good turkey leg, AND the great leftovers, turkey was usually on the menu as well. Turkey sandwiches are great but if you've got a lot of leftovers, they can get boring. Following in my moms footsteps, when I make a turkey, I start making the leftovers even BEFORE the turkey is served. Let me explain. On the bottom of your roasting pan layer a mirepoix, a mixture of celery, carrots and onions chopped in chunks. 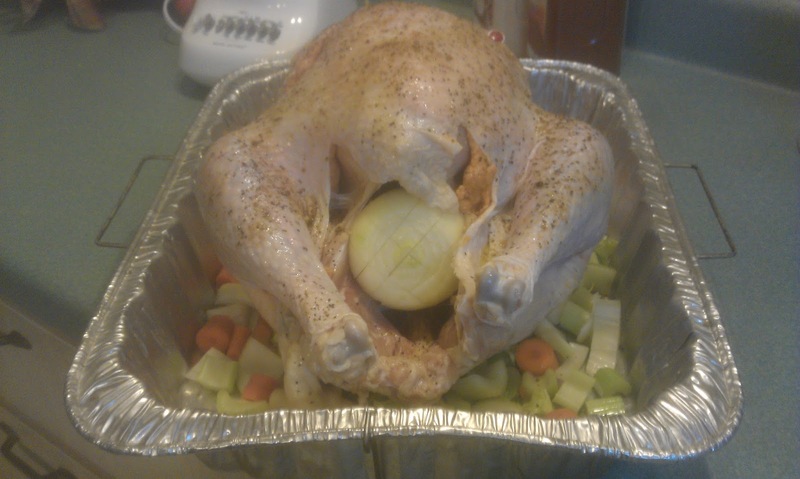 This layer keeps the turkey from sticking and also flavors the bird with it's essence. Before I roast the turkey I marinate it (recipe below) by 'massaging' the marinade between the skin and flesh, gently separating the two as I massage. Very messy job since the main ingredient of the marinade is olive oil. Make sure to remove the giblets and reserve in a pot of water. Put it on to boil while preparing the turkey. Cut a few scores in an onion and stuff into the turkey. A handful of fresh herbs could also be used, rosemary, sage, thyme, etc. 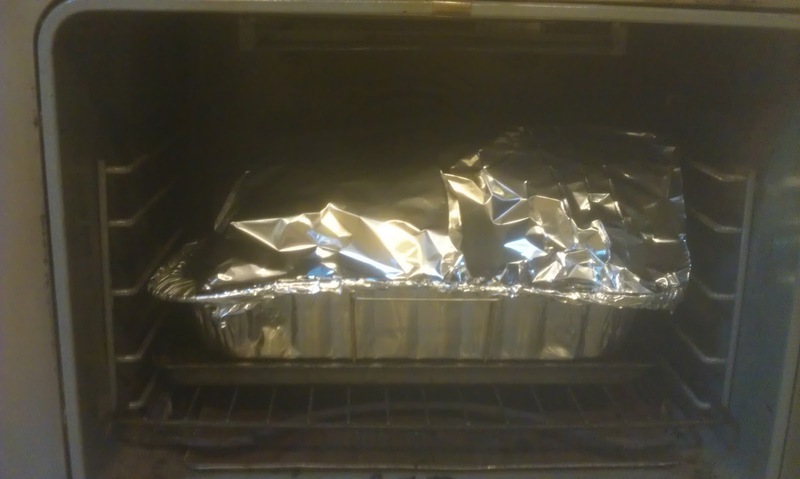 A lid or a foil tent should be used for about 3/4 of the cooking time to keep the turkey moist. I've used turkey bags but with a large turkey they always mess up the breast skin. Put the bird in a 325 degree oven according to the directions on the label. A thermometer should be used at the end of cook time. Plug it into the breast and look for a reading of 160 and in the dark meat thigh area you want a 180 reading. The turkey will continue to cook for a little after removed from the oven and should be allowed to sit for 15 minutes or more. After roasting, the skin can be easily peeled from the body in one piece. Now comes the real artsy part. Setting the skin aside, I carve off the dark meat and remove it from the bones (save all the bones, they are the GOLD of this leftover) in neat little pieces, slices if possible. I do the same with any white meat I can remove from the wings. When I'm left with only the breast, I cut it in half lengthwise down the breast bone and remove the breast bone. Then you're left with two large breast halves to slice. 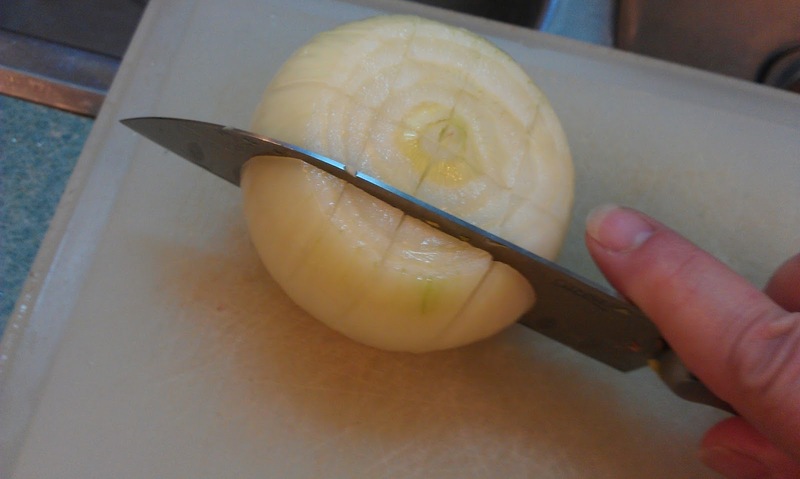 Carefully slice them, an electric knife can be helpful, making sure to keep them in the shape of the breast. 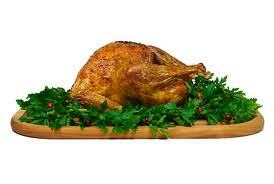 You can "pump up" the breast size by putting some of the other white or dark meat under the breasts on the platter. Then gently transfer the breasts as they were when attached to the bone, onto a platter. Then place the whole skin you removed earlier on top of the breasts. On this one I left the legs and thighs in tact. It appears like a WHOLE small turkey once you dress it with the remaining sliced dark meat and other trimmings yet is completely SLICED and READY TO EAT once the skin is lifted. If needed, you can set the oven proof platter in a very low oven while you use the drippings to make gravy. 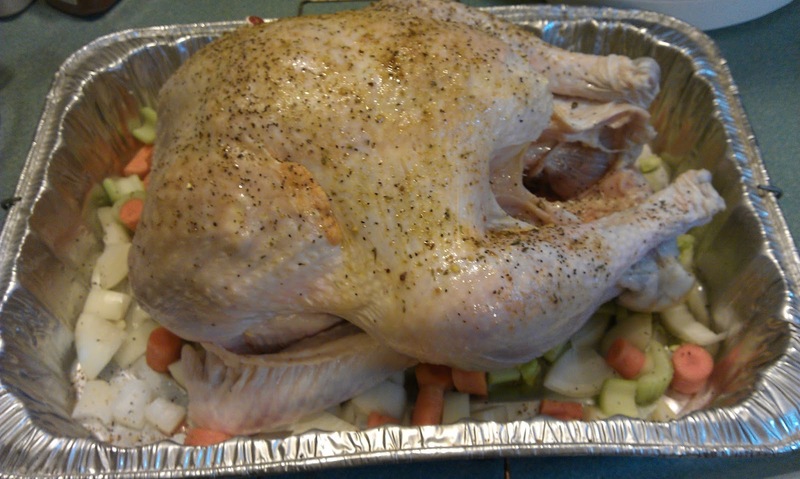 Use some of the drippings drained of grease to drizzle on the bird so it stays moist while warming. The giblets need about 45 minutes to boil. If they are tender you can chop them into little pieces and add to your gravy. They give it a great texture. Now comes the leftover part. Have a large stock pot on hand. As you're de-boning the white and dark meat from the carcass, transfer all the bones to the pot. When the carcass under the breast is removed, break it in pieces, halves or less, and add to the pot. Also throw in any other turkey remains like gizzards and livers (if they're not already living in your gravy) and any extra skin. Add water to the pot to cover the bones. While you sit down to eat your dinner, boil the pot full to pull the flavor out of the bones. After dinner throw (literally if you're feeling frisky) a quartered onion, and some celery chunks and maybe a garlic clove or two into the mess and simmer for several hours. Let it cool a tad then use a large slotted spoon or preferably a colander to strain out the solids. Now you have a wonderful stock to make soups for some time. Stock from bones is virtually fat free but you can see there is a little in this batch. If you refrigerate it overnight you can scoop that off before storing. The longer you simmer it, the more concentrated it gets. If it's a strong stock you can add more water when you use it. I separate the whole batch into 2 cup containers and freeze it for the future if I'm not making soup within a day or so. When you use the stock remember to add salt and pepper. Just mix these ingredients together in a large measuring cup or bowl then dig in to the bottom of the bowl to get the goodies in your palm and mush them between the skin and flesh of your washed turkey moving as far down the legs with the marinade as you can. Rub a generous amount on the outer skin as well and any remainder can be poured into the cavity. Just follow the turkey package instructions for roasting times and temps. Stay tuned for a "leftover a day" in this series for your turkey eating pleasure. I plan to make a turkey this week and will take pictures of this process so check back on the recipe shortly for updates.